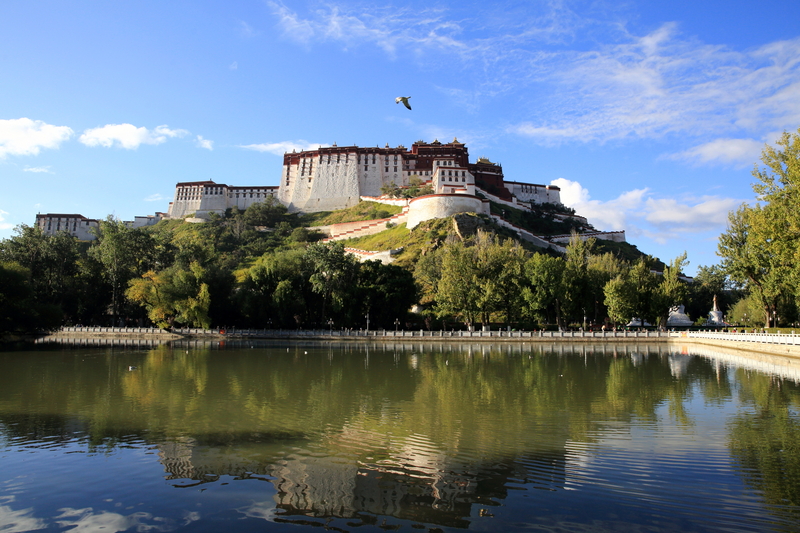 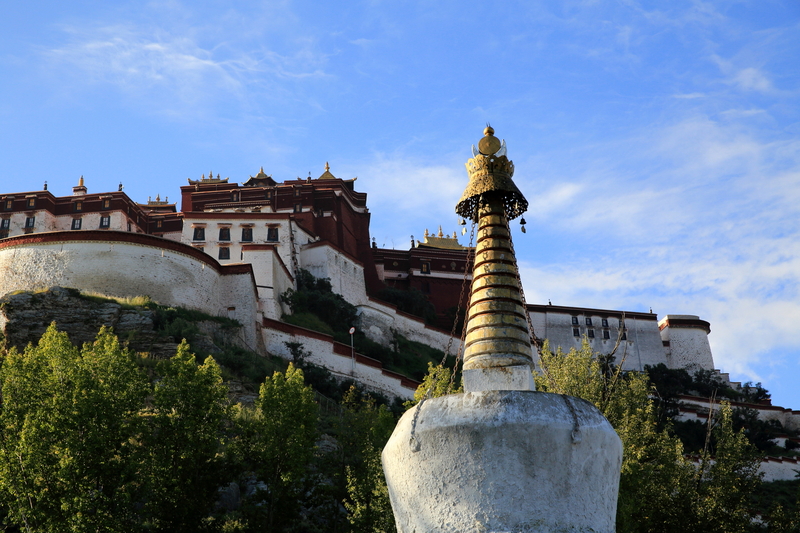 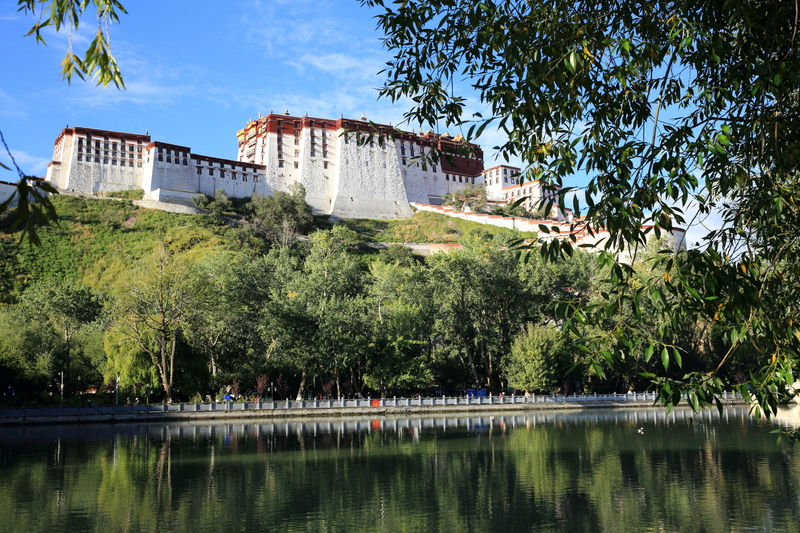 The early morning sun rises slowly, casting a layer of gold on the sleeping Potala Palace. 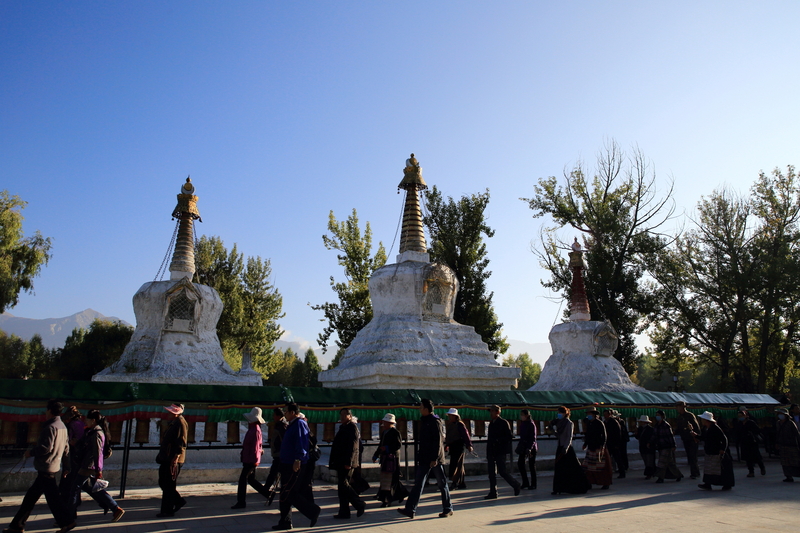 It is beautiful, sacred, and solemn, with birds in the trees and devout Buddhists making circumambulations. 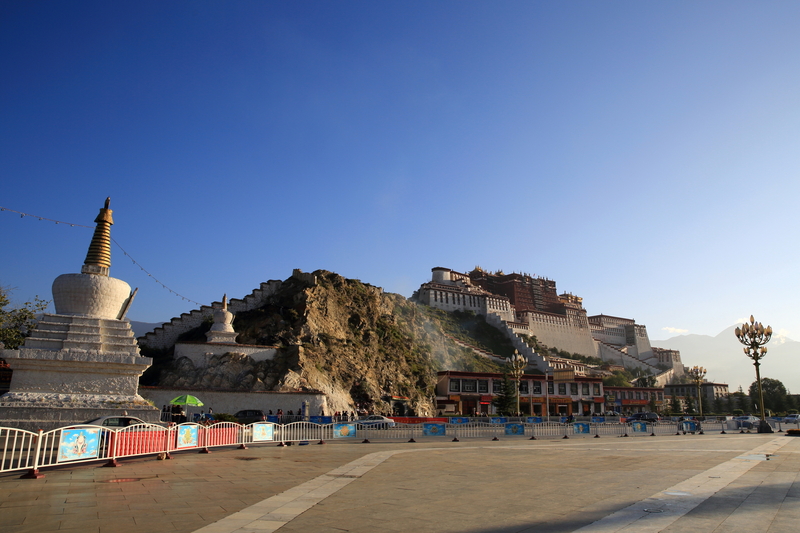 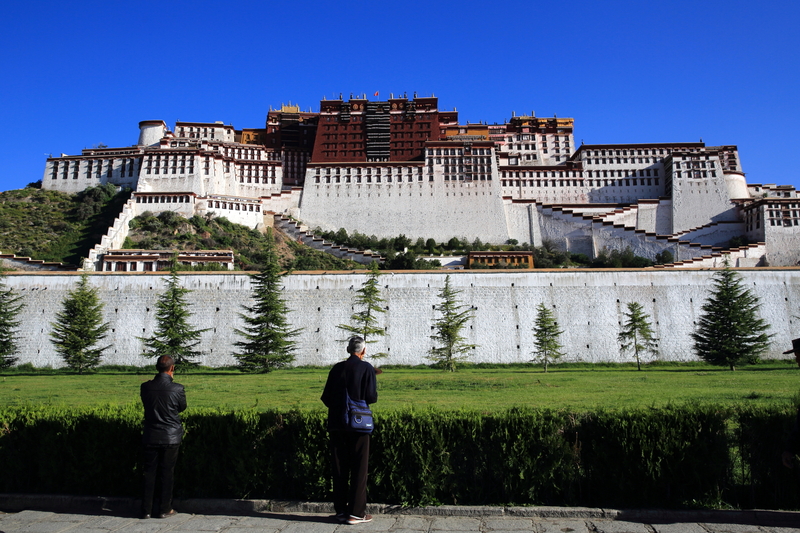 The monument in Potala Square.